Looking for a Free VPN for Routers? Here's all you need to know. Charity begins at home! 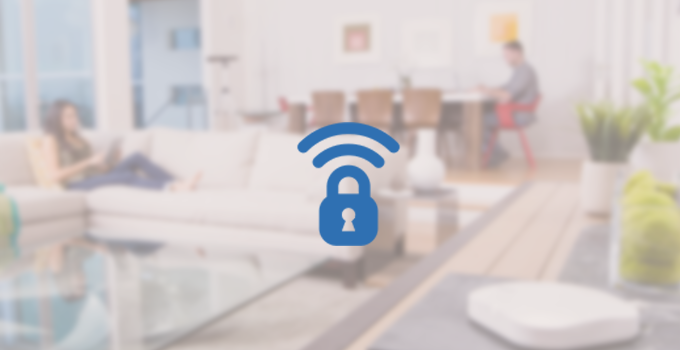 To be safe online, you must first ensure your home connection is secure. The easiest way to do that is by using a VPN. And since most home connections use a router to connect to the internet, the best way to protect all your devices is by using a VPN router. There are two primary compelling reasons why you should install a VPN in your router. First, you will be allowed to connect as many devices as you want to your single subscription. Second, you will protect all your devices, even the ones that don’t support VPN installations such as some smart TVs. There’s only one drawback, connecting several devices might slow down your VPN speed. This, however, depends on your internet bandwidth, and type of VPN you will install. Before installing a VPN on your router, you must ensure that your router supports VPNs and your VPN of choice can be installed on routers. Most routers are not built with VPN support capabilities. Due to this reason, you will need to flash/replace your router’s firmware. Don’t worry; it won’t be an arduous task to do since there are tutorials to guide you. The most common and popular router firmware that supports VPN configurations is the DD-WRT. This open source firmware is popular because it can be installed on a wide range of routers. It also offers more performance and features; it has improved security, you can regulate your bandwidth, access multiple VPN protocols, and it extends the wireless capabilities of your router. The other expensive alternative is to buy a VPN pre-configured router or a WRT ready router, but ensure it supports the OpenVPN protocol. Free VPNs do not offer unlimited bandwidth and usually its something between 500MB to 2GB. This bandwidth is not suitable for a router VPN since you are going to connect a lot of bandwidth-hungry devices. Additionally, you might want to stream, and this means your free bandwidth will be depleted in no time which in turn means you won’t have access to the secure internet. Besides limited bandwidth, free VPNs are notorious for throttling their bandwidth. With multiple connections to your router, free VPNs will deliver a slow yet painful internet experience. Even light browsing will be a problem. These premium VPNs offer unlimited bandwidth, blazing speeds, excellent security and a wide selection of global servers. I suggest you to try and if you’re not happy just ask your money back! ExpressVPN is the best VPN for routers 2018. It has a wide range of preconfigured VPN routers, and it has a custom firmware you can flash to your VPN compatible router. It has a very easy to follow tutorial and guidelines to get you started when configuring your VPN compatible router. Its custom firmware enables you to select which devices to tunnel and which one should access the internet directly. With its 2000 plus servers, ExpressVPN brings blazing speeds, unlimited bandwidth and ultimate performance to your router. These global servers ensure you gain access to geo-restricted content, access torrents and also stream your online services such as Netflix without a fuss. Its best-in-class AES 256 encryption and a wide range of protocols ensure your connection is secure and your internet traffic protected from prying eyes. Based in the British Virgin Islands (BVI), ExpressVPN also ensures your privacy is intact as BVI jurisdiction has no data retention laws. Additionally, ExpressVPN doesn’t log user traffic data, DNS queries, or anything that could be used to identify you. IPVanish is a world-class VPN that ensures all your security in one privacy plan. Unlike ExpressVPN, it doesn’t have a custom app for routers, but it offers preconfigured VPN routers. It’s also compatible with many routers but through the DD-WRT firmware. It has a detailed procedure and a tutorial on how you can get IPVanish started on your compatible router. The best thing about IPVanish is its lightning speeds over short hops. It offers unlimited bandwidth and P2P traffic that allows you to stream and access torrents without experiencing speed problems. Its 1,000+ VPN servers in 60+ countries ensure you bypass censorships and gain access to geo-restricted content. IPVanish implements the unbreakable 256-bit AES encryption and secure protocols that ensure your security is not compromised. You also don’t have to worry about your privacy as it keeps zero logs. NordVPN features extensive tutorials on how to configure the VPN in most VPN compatible routers including the ones with the DD-WRT firmware. To ensure your router is secure, configure it with the OpenVPN protocol as the L2TP, and PPTP protocols have serious security flaws. NordVPN has the biggest VPN server network with over 5000 plus global servers in 62 countries. These servers deliver a better online experience by providing lightning high speeds which are suitable for streaming content and also torrenting. NordVPN is equipped with military-grade encryption and other security features such as double VPN which ensure your security will never be compromised. This Panama based VPN has a strict no log policy, and this promotes more privacy. It has an award-winning 24/7 customer support to help you anytime you get stuck while using the VPN service. A VPN for your router is the best bet at ensuring your devices are secure when using the home connection to access the internet. With a 30-day money back guarantee, you can use the premium VPNs for free. ExpressVPN is the best of them all as it has a custom firmware you can flash to your compatible router.